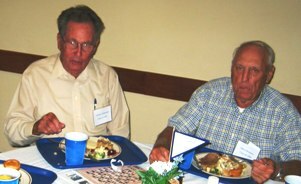 �.. highlight of the Annual Banquet involves fellowship and greeting old classmates and friends. 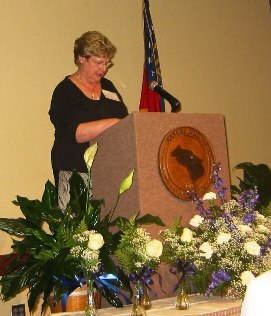 A lot of that took place�..
Over 300 Oconee County High Schools alumni and guests attended the Alumni Association Annual Banquet on Saturday, June 26, 2010, at the Oconee County Civic Center. 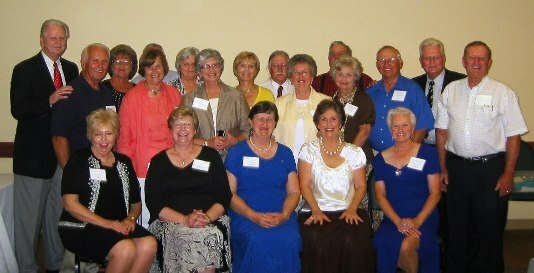 The event was hosted by the OCHS Class of 1960. 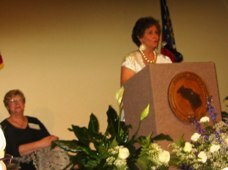 Rebecca Wheeler Bunce was emcee with assistance from Connie Nunnally Wheeler and Faye Thomas Doster and others. There were moments of reflections as messages from alumni were read about memories of High School Days in Oconee County. 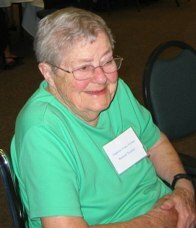 A delicious meal was catered by Joan Morgan (OCHS Class of 1956). The Host Class had things well organized and the meal and evening flowed smoothly. 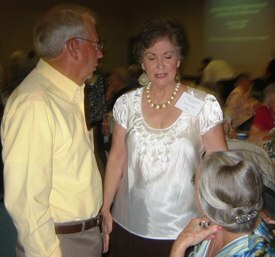 Of course, the highlight of the Annual Banquet involves fellowship and greeting old classmates and friends. A lot of that took place. Special guests were retired teachers in attendance who included Sammy Sanders, Retired School Supt and VOAG Teacher; Marjorie Shurling Hale, Retired Home Economics Teacher; Gladys Cain, widow of former School Supt Jeff Cain; Augusta Verner retired elementary school teacher; and Jimmy Duncan, retired OCHS teacher. Many other teachers were present who have taught and retired in more recent years. Commissioner John Daniell attended. While the Commission Chair, Melvin Davis, and Supt John Jackson were registered as guests, they were not in attendance. Retired long-time Sheriff Charles Holcomb was in attendance as well as longtime school board member J C Childers. 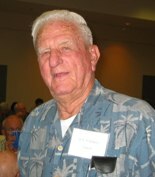 Also attending was Bogart Graduate, Ray Bond, son of Sheriff Jerry Bond of the 1940’s and earl 50’s. 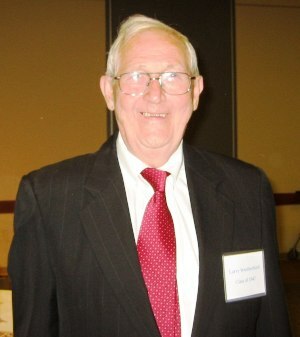 Larry Weatherford, Class of OCHS-Watkinsville 1947, led the organizing of the Alumni Association and has been President for several years. 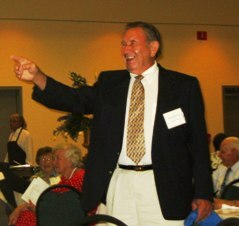 He was given an ovation as his retirement was announced and Jimmy Christopher, OCHS Class of 1958, was installed as President. As one who has attended the event for more than 20 years, I miss people every year who are not in attendance because of death and health issues. However, there are new ones coming from the Post 1956 Class (Consolidation of Bogart and Watkinsville High Schools into OCHS). The younger classes bring vitality and insure the continuation of future Alumni Banquets. Attendees had a great time and left with full intention of attending next year when the OCHS Class of 1961 will host the event.